So this was a last-minute addition. "Tentacles", I said to myself. "We need a variation with lotsa legs all around the body like a tutu." It's not one of the animals in the pattern at the moment because, as I said, it was a last-minute addition, after all the templates had already been traced out and apportioned to the allotted pages. And by "last minute", I mean "instead of packing for our trip to Singapore, I was sewing stuffed sea animals and doing photoshoots on the deck". But I had to show him to you because we have a running squid joke in our family and I've always wanted to make a squid but could never justify it. Till now. This is my favourite. Love your collective imagination! You just had waaay too much fun with these critters!! :) The squid might just be my new favorite! Ooo he's sweet as well. You made your squid!!! This guy's eyes are fabulous. I keep thinking that there must be a law of diminishing cuteness when using a softie sloper, but each you show show is cuter than the last! I'm seriously crushing on this squid. I always post the wrong way...that was me as "unknown google"
Not in the pattern?! NOOOOO!! 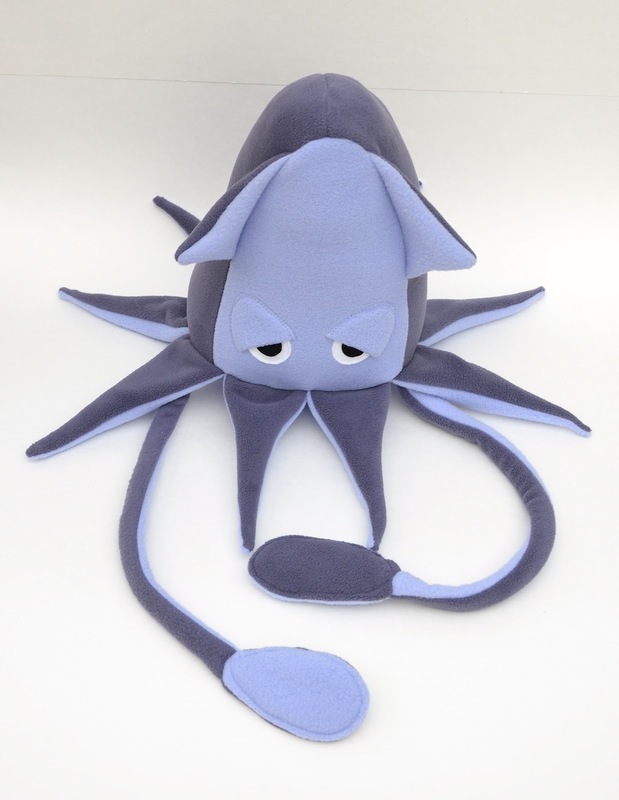 I have my heart set on making a plush Cthulhu and tentacles are PIVOTAL! I mean... I could probably figure it out, looking at your pictures here... but still! 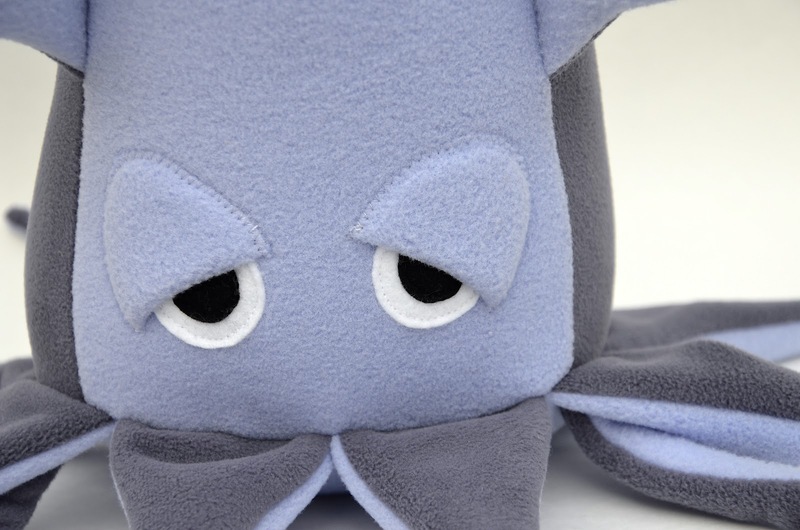 I have truly never, ever needed something more in my life than the pattern for that squid. He's very cute. I love those sleepy eyes. That's really exciting that you're coming to Singapore. Maybe I should start hanging around the Textile Centre in the hope of running into you! It's my new favourite place here - second only to People's Park Complex. My son LOVES squids! How cute! my most most most fav! The squid is my favorite. Can hardly wait for the pattern! Not in the pattern? 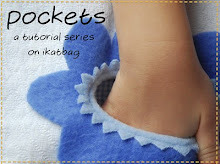 (sad face) I'm gonna buy the pattern anyway! Maybe I can figure it out! 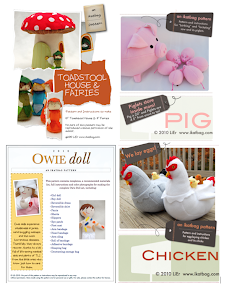 I don't make stuffies anymore. I have no need for stuffies anymore. 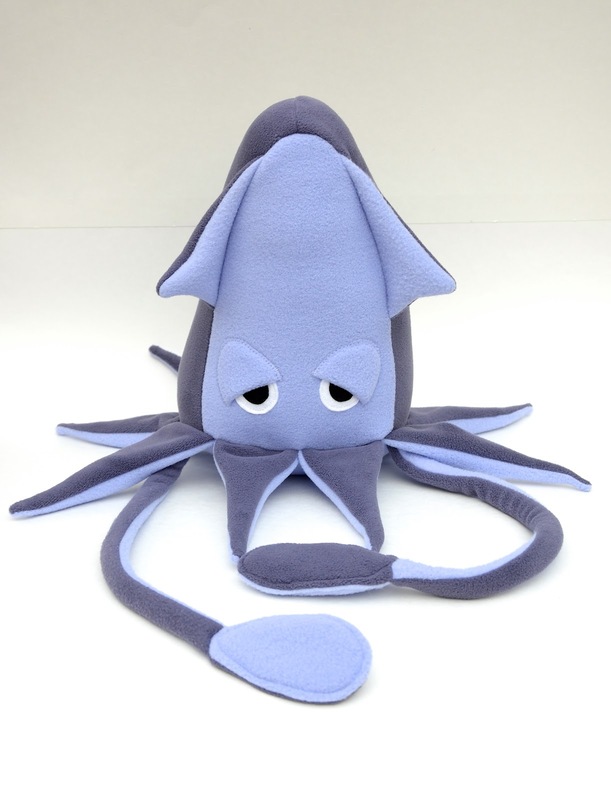 I need this squid. 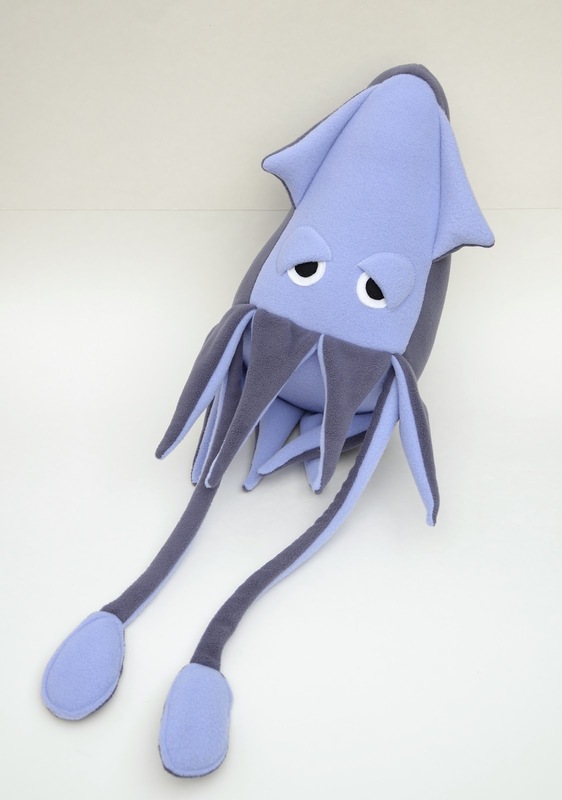 I will make this squid. awwwwwwwww is all I can say !!! That guy is so, so funny and marvelous. I love him. 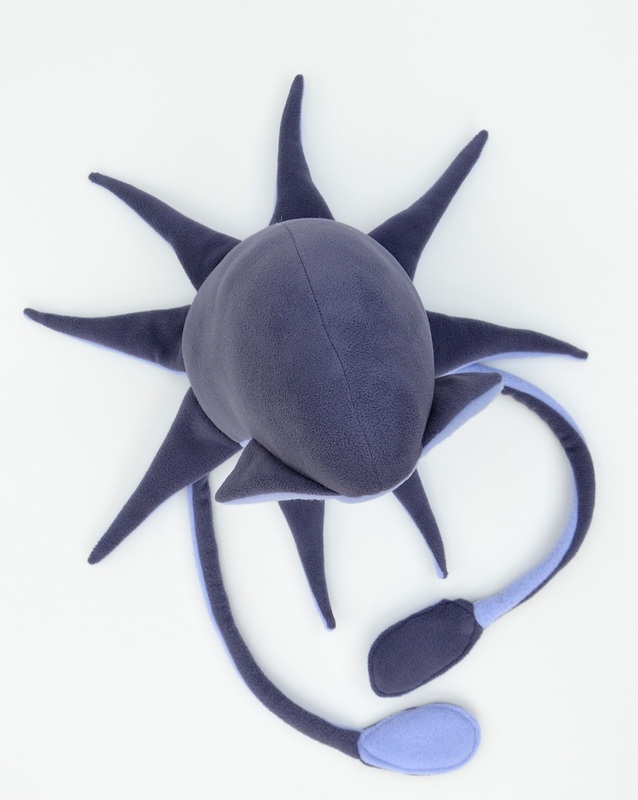 I join the others who hope he'll have his own pattern in time. aaww...soo cute! That sadness, makes me want to hold it for ages. Love them all but this one speaks to your heart. 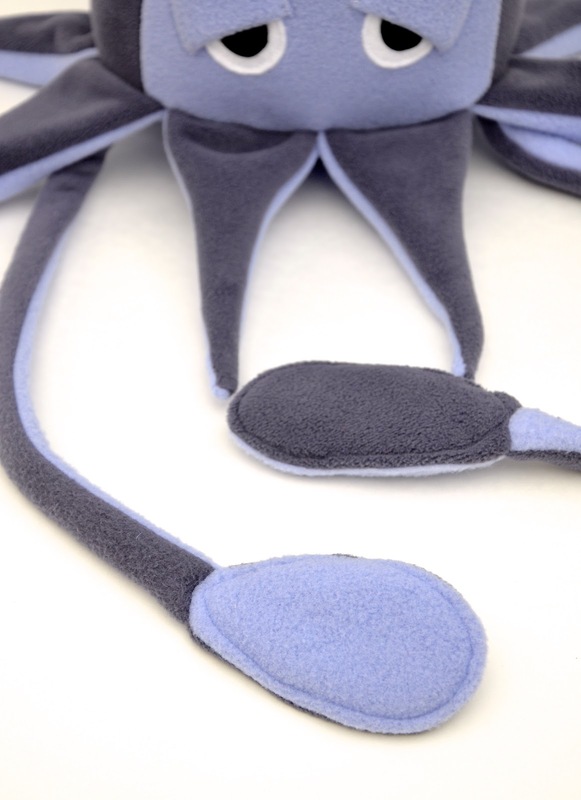 Hi I have just found your blog, do you have this squid pattern available for sale.